Facing east in front of the courthouse, a life-sized Italian marble soldier stands guard atop a granite base. 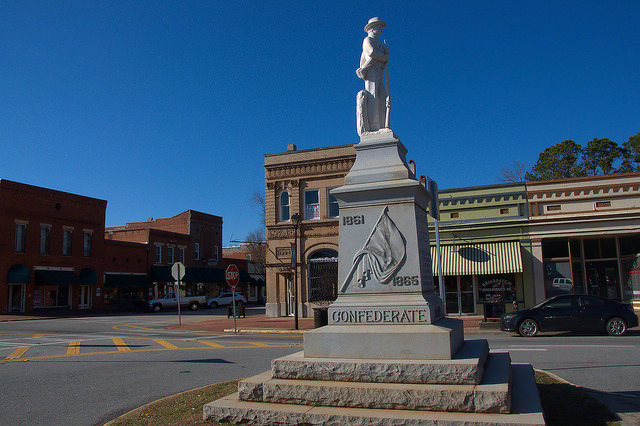 Dedicated on 22 Jul 1908 by the Dixie Chapter, United Daughters of the Confederacy, the monument was erected by the McNeel Marble Company for $1900. A crowd of three thousand attended the dedication, with General Clement A. Evans providing the oration.